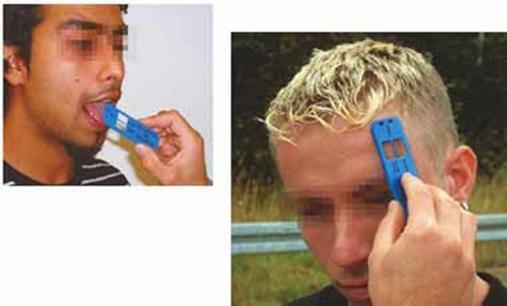 Securetec's DrugWipe® drug detection tool tests for presence of Marijuana/Cannabis, Hashish (THC), Opiates (Heroin, Morphine, Oxycodone, etc. ), Cocaine (Crack, etc. ), Amphetamines, and Methamphetamines (Crystal Meth, Ice, Glass, Speed, Ecstasy, etc. ), or ANY drug in these families. DrugWipe® offers results in 5 - 10 minutes, a broad spectrum of detected drugs, confidentiality of testing, and best of all, the subject doesn't need to be present to be tested. 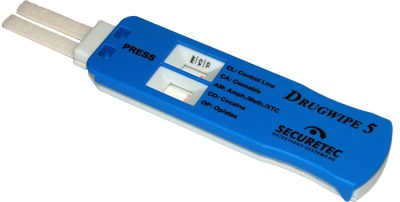 The DrugWipe 5® drug detection kit tests can test a subject, any non-porous surface the subject has touched or one that is in the area the drugs have been manufactured or smoked, and can also test the drugs themselves. Private Investigators, Health Care Providers and Home Inspectors: Expand your earning capabilities by becoming a Certified Technician.